Join Kacie for a Back-to-Basics Workshop focusing on Sun Salutations. This workshop is the first occurrence of a once a month, four-part series running September through December. Sun Salutations improve flexibility, stamina, and circulation, as well as reduce stress and increase mental focus. In this workshop, we'll break down the sequencing of the different variations of Sun Salutations so you can learn how to smoothly and safely flow through your practice. 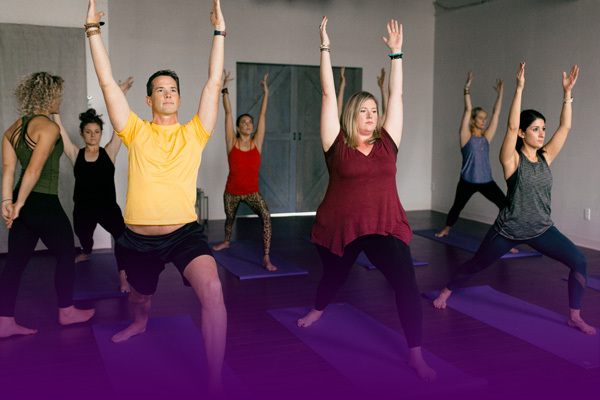 We'll dive deep into the postures in Sun Salutations and learn modifications that will help you feel better in your practice. This workshop is appropriate for all levels. *if you purchase our 30-Day New-Client Special you can attend that month's Back-to-Basics Workshop for $5 off!